Star Wars Battlefront was a massive hit in 2015, selling millions of copies. This was thanks to its exciting multiplayer gameplay and authentic Star Wars atmosphere. Some people, though, criticized the game due to its shallowness, and also due to the fact that there was no single player campaign to be found in developer DICE’s game. But the game’s upcoming sequel Star Wars Battlefront 2 is shaping up to be a bigger and better game than its predecessor in several ways. For instance, the multiplayer action will take place across all Star Wars eras (and not just during the original trilogy as in the first game) meaning you will be able to play as characters like Darth Maul and Kylo Ren for instance, while the much-requested single player campaign will indeed feature in this Star Wars game. And Star Wars Battlefront 2’s latest trailer gives players a taste of what to expected from the game’s single player campaign, showing characters and scenes from the game’s story. Battlefront 2’s story takes place between The Return of the Jedi and The Force Awakens, and it’s also interesting that the game’s female lead (Iden Versio) will be fighting for the Empire instead of the Alliance here. 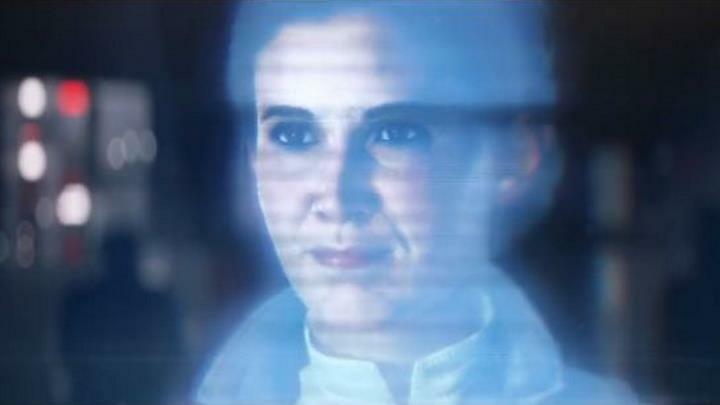 As seen in the trailer, other well-known Star Wars characters like Princess Leia, Luke Skywalker and even Emperor Palpatine will be making an appearance in Star Wars Battlefront 2’s single player campaign. And hopefully the single player story will live up to the multiplayer side of things in this game, making this a great experience for Star Wars fans worldwide when it hits shelves next month. Note: Star Wars Battlefront 2 will be released on November 17, 2017. Available on PS4, Xbox One and PC.